Maybelline TattooStudio Waterproof Eyebrow Gel is going to be your best friend come summer, but it's perfect right now for full eyebrows that you don't have to touch for at least 2 days. 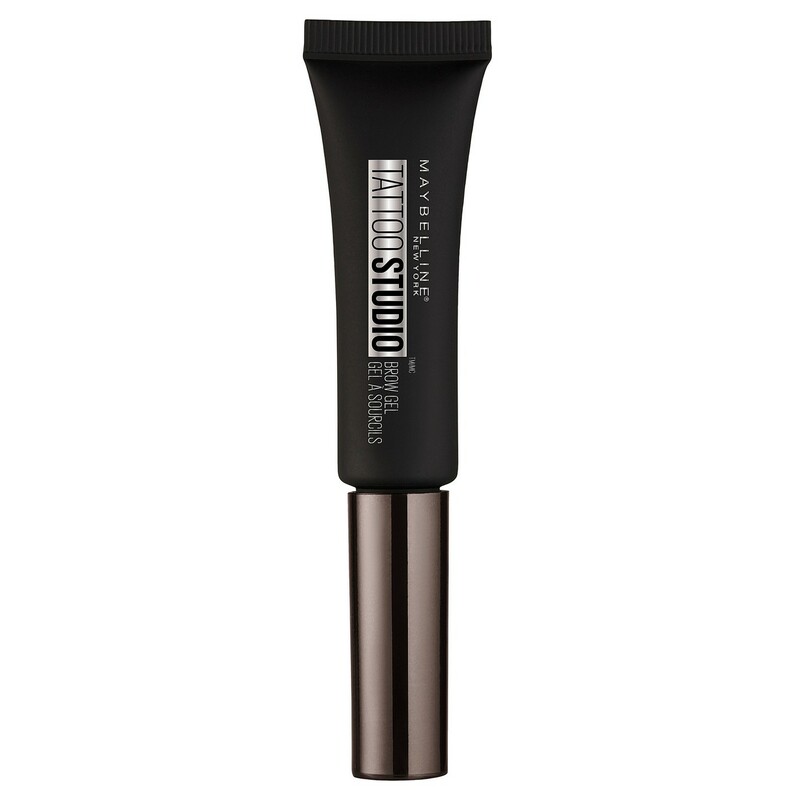 Maybelline TattooStudio Waterproof Eyebrow Gel is a smudge proof and water proof brow gel. It allows you to sculpt and fill in your eyebrows for a full look. There's no transfer, no flaking and brows look natural. 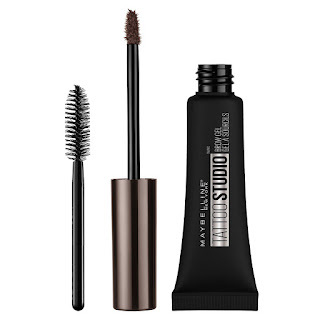 There are two items included in the Maybelline TattooStudio Waterproof Eyebrow Gel package. There's the Eyebrow Gel with it's own brush applicator and a grooming spoolie for additional shaping. I really love the Maybelline TattooStudio Waterproof Eyebrow Gel but it does take a bit of practice to use it. First, the Maybelline TattooStudio applicator brush is loaded with a lot of Eyebrow Gel, so after loading too much on my eyebrow the first try, I made sure to swipe it a few times on the top of the tube to get rid of excess gel. Once I applied the get to my brows, it was thick, but spread very easily and the Deep Brown shade was a good match for dark brown/soft black brows like mine. *There are 3 additional shades available. Once I had filled in and moved the brush in upward movements along my mid brow and outer brow areas (Tip: Go SLOWLY), I gave it a good minute before applying any other makeup in that area, as it needed time to dry. After the Maybelline TattooStudio Waterproof Eyebrow Gel set I was very impressed with the finish and how lush and full my brows looked. I was able to keep my natural shape, but fill in just enough to enhance it and have it still look natural. 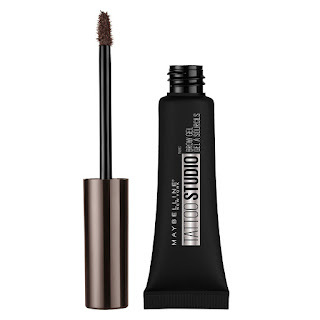 The first few times I used Maybelline TattooStudio Waterproof Eyebrow Gel I tested it's long wear ability by using a wipe at night to remove my other makeup, leaving the Maybelline TattooStudio Waterproof Eyebrow Gel in tact. In the morning I noticed the Eyebrow Gel didn't smudge on my pillowcase the color remained true. My brows needed a bit of brushing with the spoolie, but otherwise they remained full looking and just as dark. 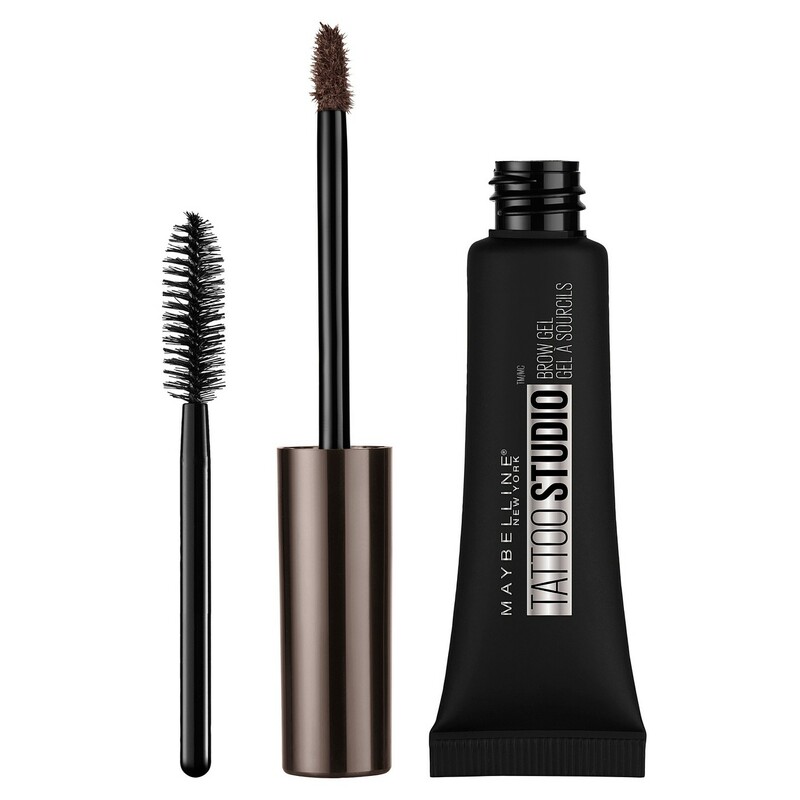 Maybelline TattooStudio Waterproof Eyebrow Gel is the perfect brow product for those of you with intermediate to advanced brow grooming skills, and want a longer term solution to filling in your eye brows. The formula is fantastic and costing under $10 also a great buy since it's so concentrated. You'll have Maybelline TattooStudio Waterproof Eyebrow Gel for months and months.